Summer is in full swing, and what better way to stay cool than spending time at the pool. Whether at your local community pool or your backyard pool, there are a few things to consider about pool water and its potential effects on your teeth. Swimming pool water is treated so that Chlorine and other chemicals that are added to the water can be kept at the proper levels to minimize bacteria and other water contaminants and keep you safe. If these chemicals become unbalanced and the Chlorine is too high or the pH is too low (too acidic), this can lead to loss of enamel from your teeth, as well as sensitivity and brown spots. This can occur in those who swim frequently and/or for prolonged periods of time. If you start to notice any of these things, you should see your dentist. There are over- the- counter as well as prescription toothpastes and gels that can help repair and remineralize weakened enamel and help with sensitivity and brown spots. It is also best to minimize consuming acidic foods and drinks during this time to avoid further damage to the enamel. It also helps to consume plenty of water and keep your mouth moist, as adequate saliva helps maintain a good pH in your mouth which minimizes enamel wear and tooth decay. 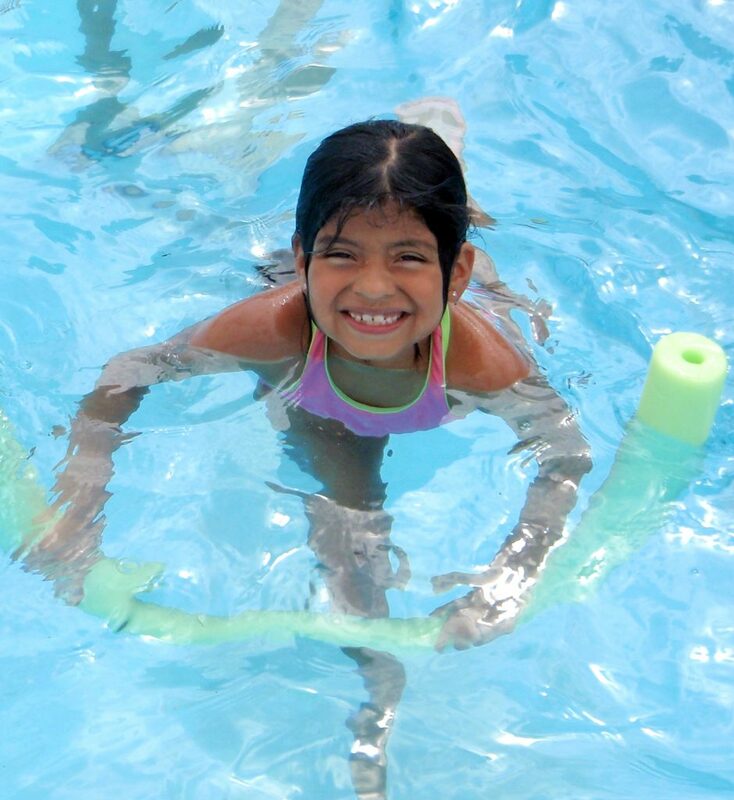 Whatever your tooth symptoms, consult your dentist about ways to keep your smile healthy while enjoying your pool time.